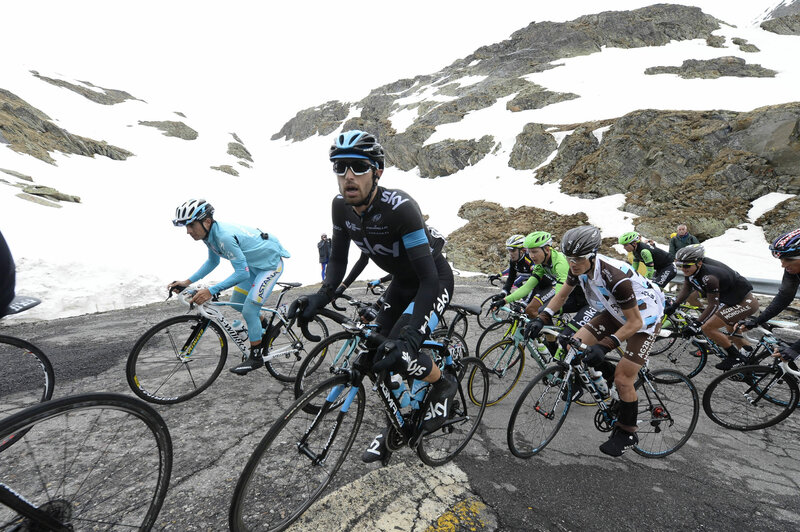 After careful research, we have now selected some of the very hardest ascents in the Giro d’Italia. 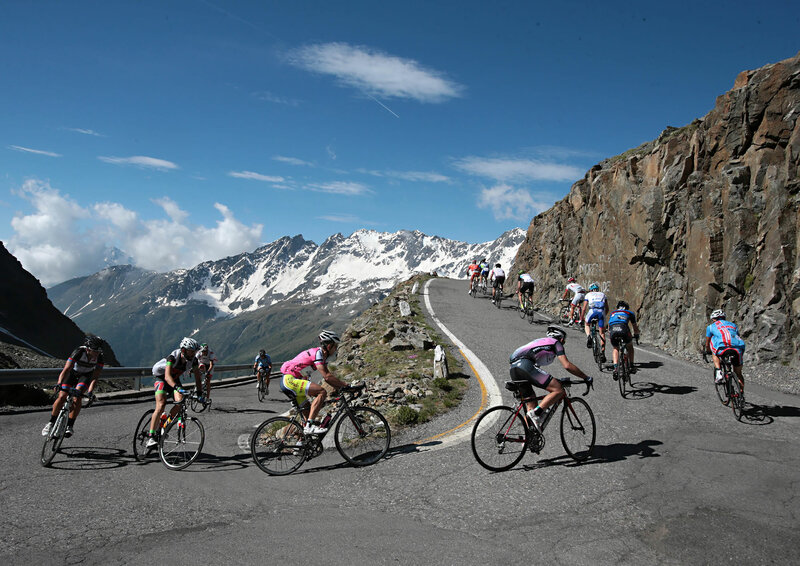 These are mythical places, the settings for memorable sporting achievements: in sunshine, rain, and recently even snow. Climbing them is not an impossible task, but it's certainly exhausting. Counting to 48 will never seem so hard again! 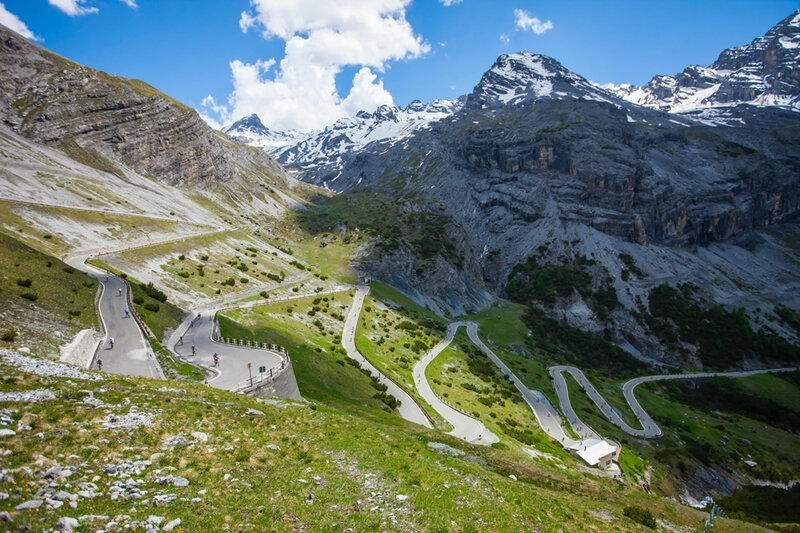 For with its 48 bends, the Passo dello Stelvio (alias Cima Coppi) is the highest valley ever to feature in the Giro d'Italia. 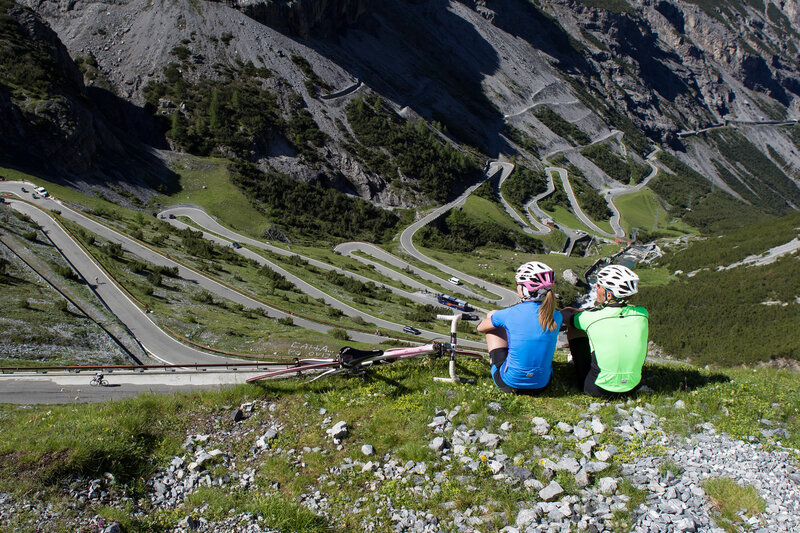 The ascent of 24.3 km takes you through two national parks (with the Stelvio park on the Swiss side), but the climb up this mountain will seem to you more like an endless ascent to the stars. 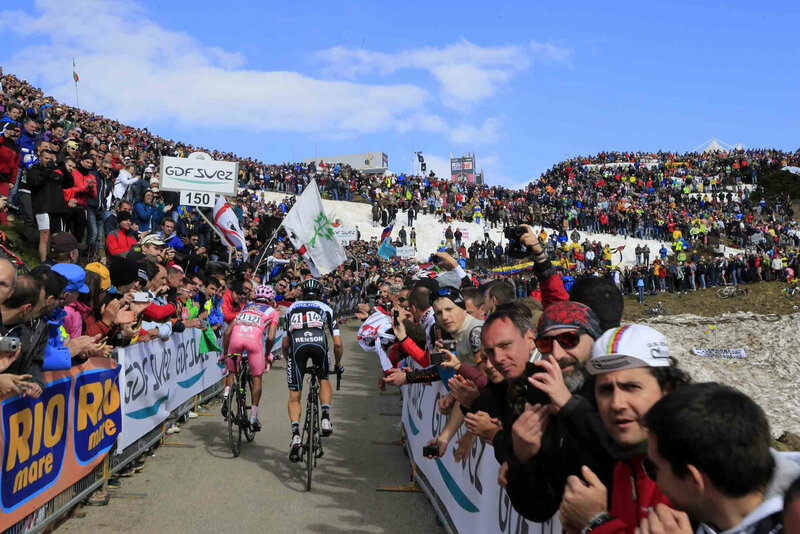 And if you think you’re going to die during this climb, don’t worry, Fausto Coppi felt just the same. 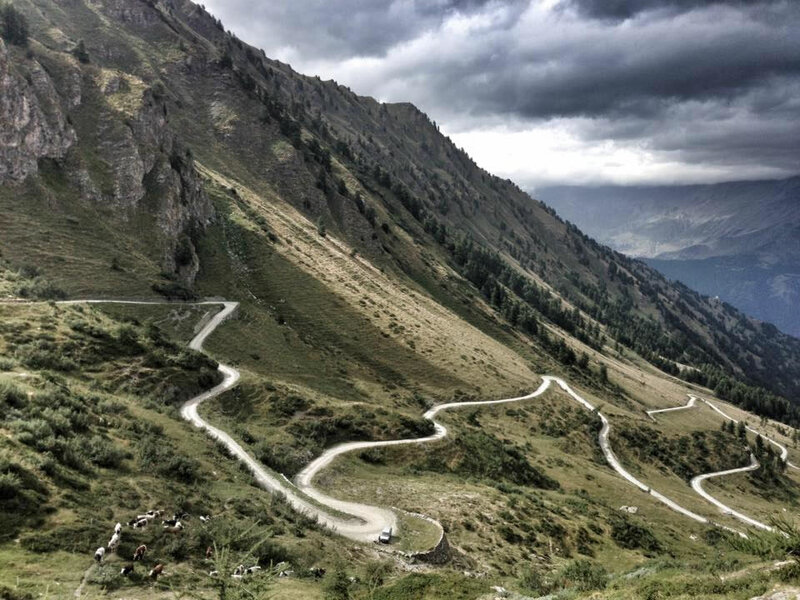 The long climb, high average gradient and unmade surface are the killer combination of Colle delle Finestre. 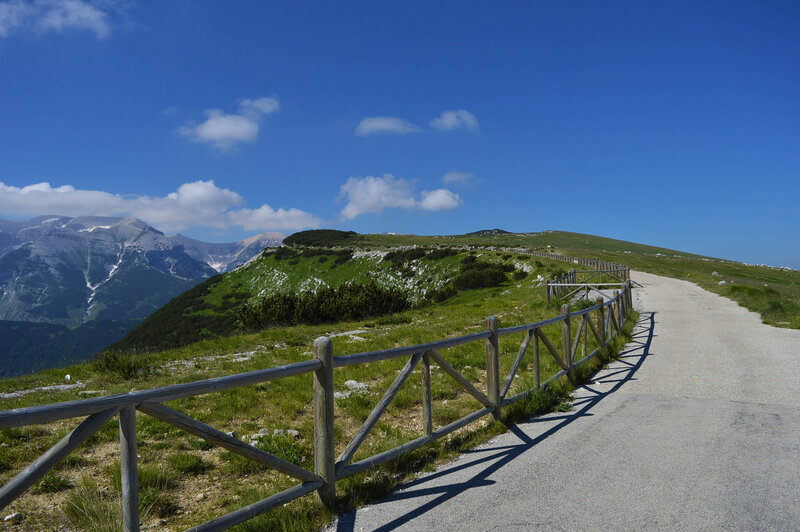 Located in the Orsiera-Rocciavrè Natural Park, this was originally a military road and impassable until a few years ago. It climbs steadily upward, with average gradients of 9%. 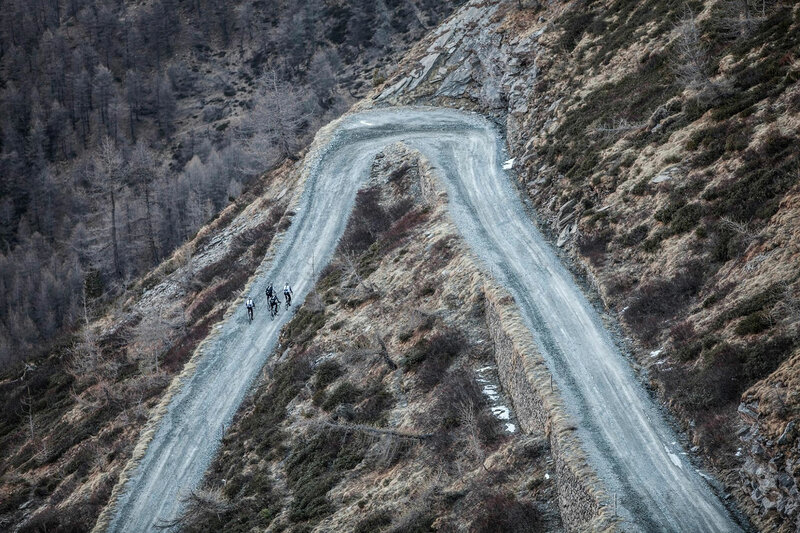 The first 11 km are on asphalt, but the last 8 on an unmade surface, giving this ascent a flavour of cycling in times past and hinting at the epic feats of former champions. Take a couple of extra inner tubes, as the rough surface might provide some nasty surprises. 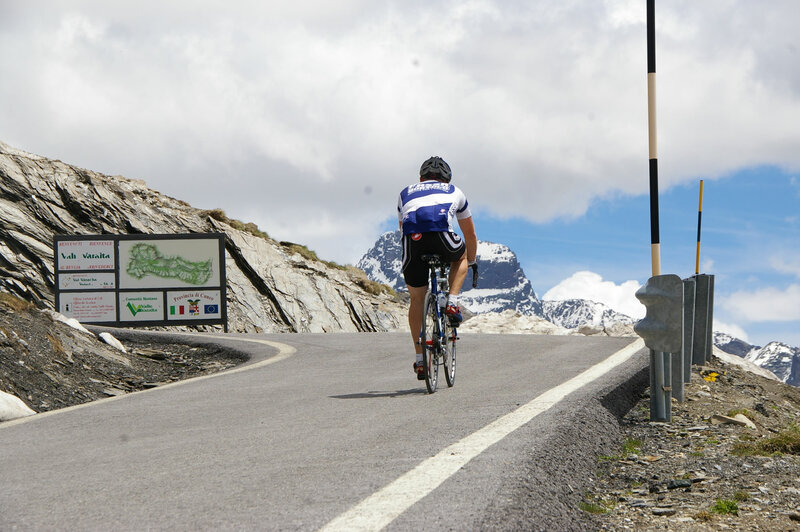 The route up to the Colle dell'Agnello pass is not well-known, and has only been explored in recent times. You need to be at the peak of training to reach the summit, and also mentally well prepared: the last 10 km are gruelling, with gradients of between 9 and 10%, and for this reason it's the ruggedness which really strikes you. 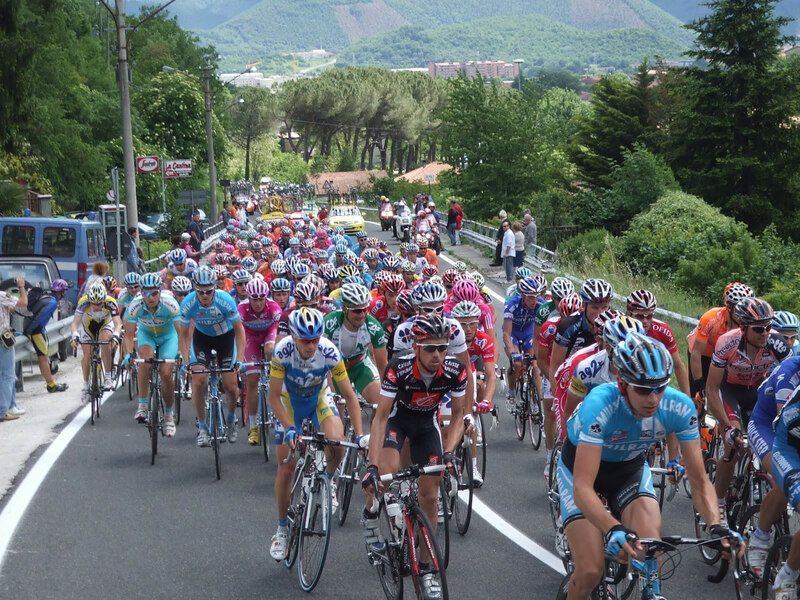 The ascent begins at Casteldelfino and takes you within sight of some imposing peaks including Mount Monviso. You need to wear several layers of clothing, because the weather conditions change often and repeatedly. 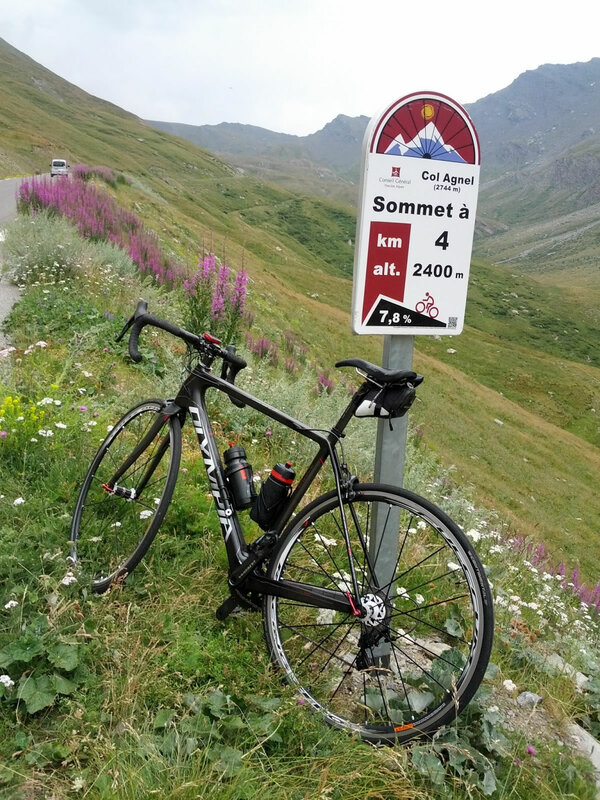 While you're climbing, don't forget the last refreshment stop is at Pontechianale; from there to the summit there are no other opportunities, and you'll find the extra supply of water is useful. The Blockhaus is located right in the heart of the Majella National Park, and is one of the hardest ascents not just in central southern Italy, but in the whole of Europe. 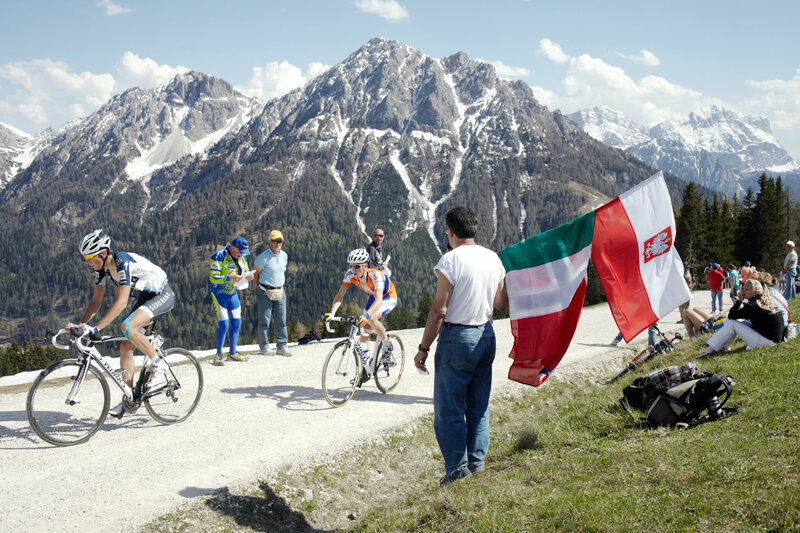 First included in the Giro d'Italia in 1967, the Blockhaus is a blind ascent; with only one slope but 3 possible ways up (from Lettomanoppello, from Roccamorice and from Fara Filiorium Petri). 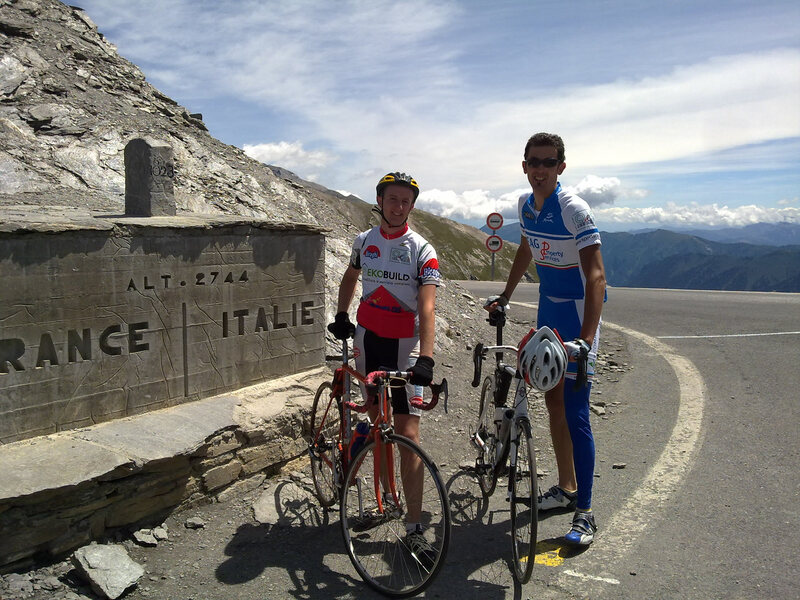 The real challenge of this mountain ride is the change in level: about 2000 metres over the 22 km. 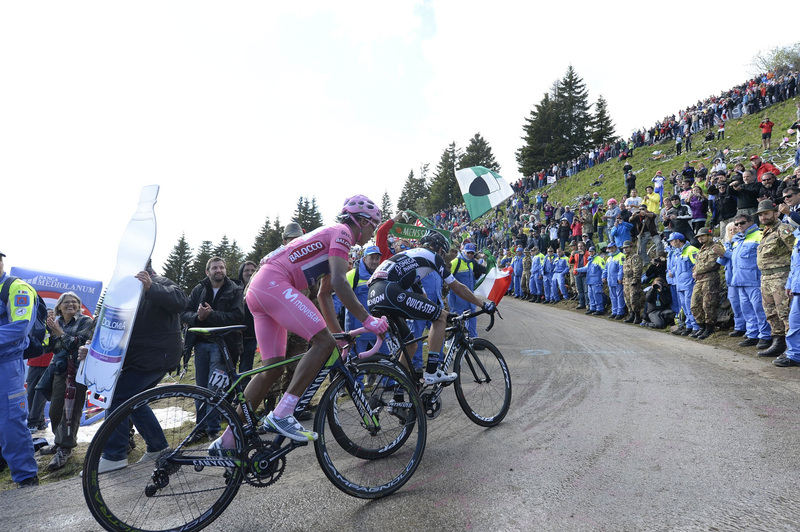 For this reason, it is not an easy ascent; difficult to read but capable of producing epic endeavours, like the first Giro d'Italia victory for Eddy Mercks. In fact, it was up here that the Cannibal let everyone know that ascents didn't frighten him. 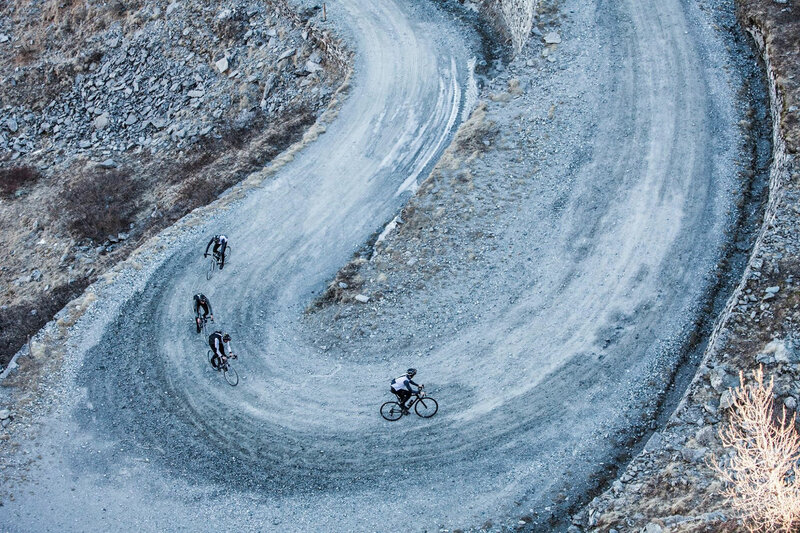 The altitude involved certainly indicates the toughness of the ascent, but that's not the whole story. 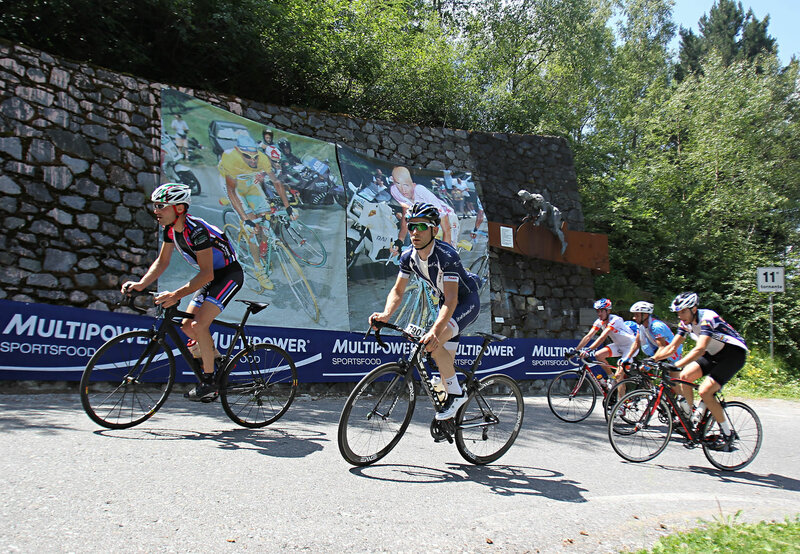 Even below 2000 metres, some of the climbs are no stroll: Mortirolo and Zoncolan are pretty scary. 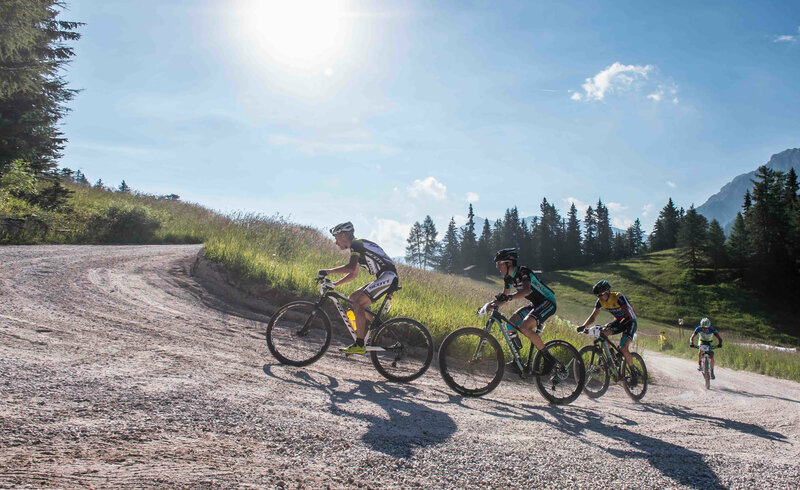 Who said you can't cycle on a ski slope? 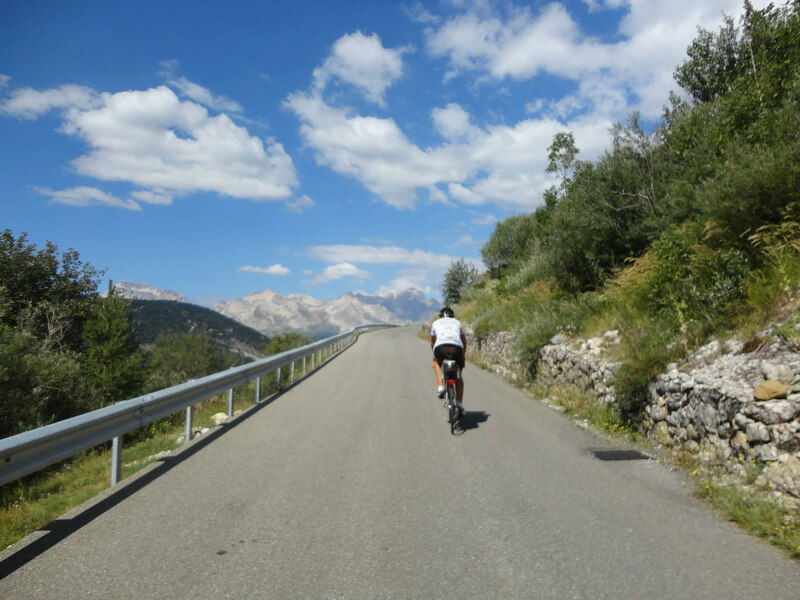 Well, you can on the road between Passo Furcia and Plan de Corones, which is entirely made from a special ecological mixture of gravel and cement. 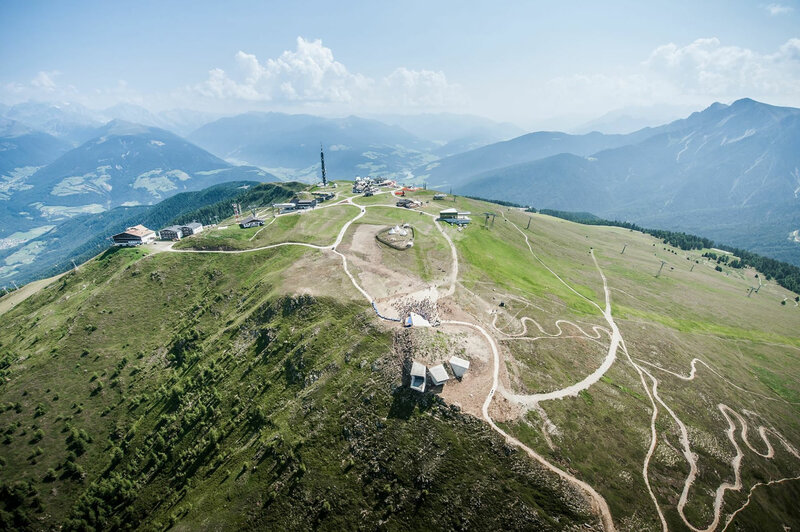 If the climb seems to you rather short, never fear, some impossible slopes will soon make you think again. 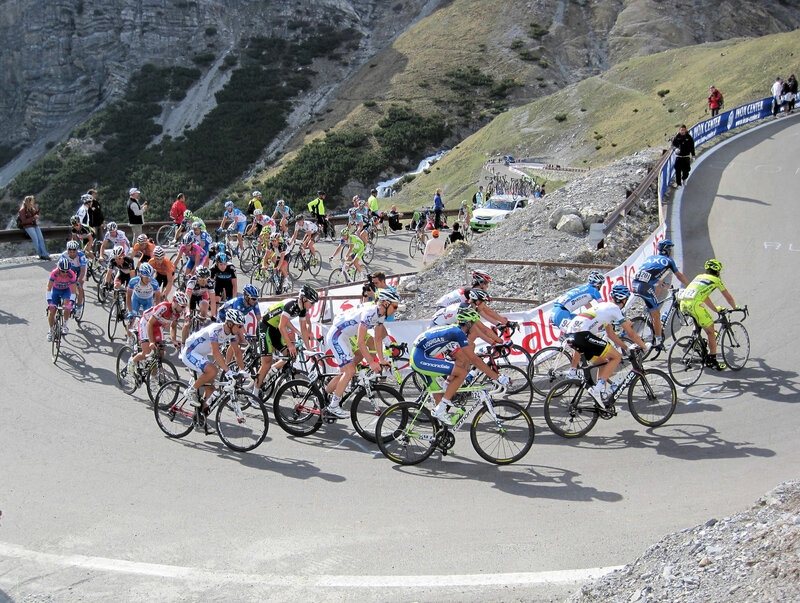 Cycling right to the top is just for the exceptional few, because there's a 24% gradient to face in the last kilometre. 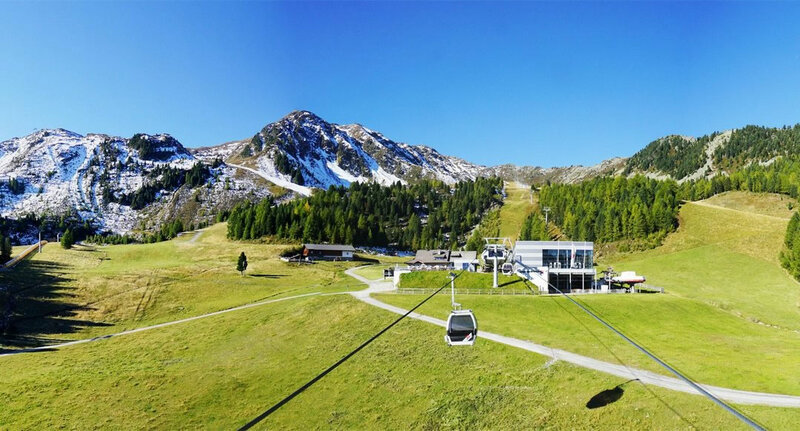 If you're not super-fit, we suggest you get to the ski area by cable-car, like your average skier. 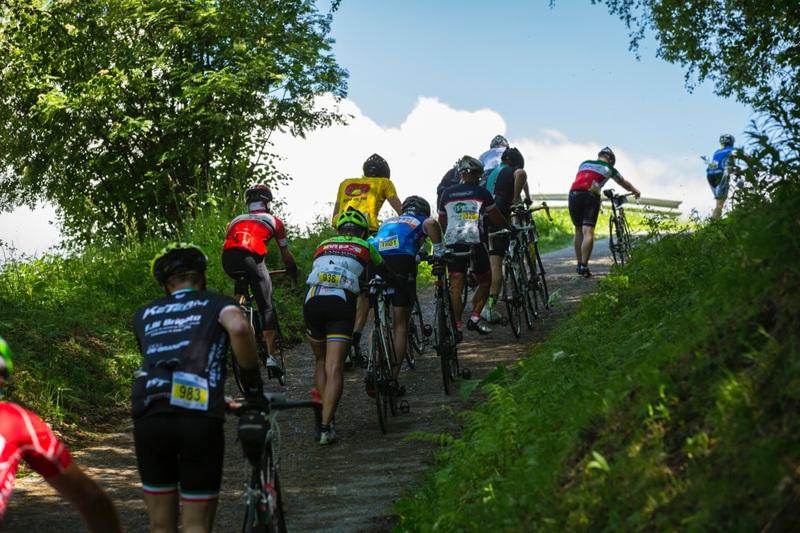 You need to draw on your deepest energy resources to climb the 1,854 metres to the Mortirolo Pass, because the challenge will be not so much to reach the top, but to get there without putting your feet on the ground. 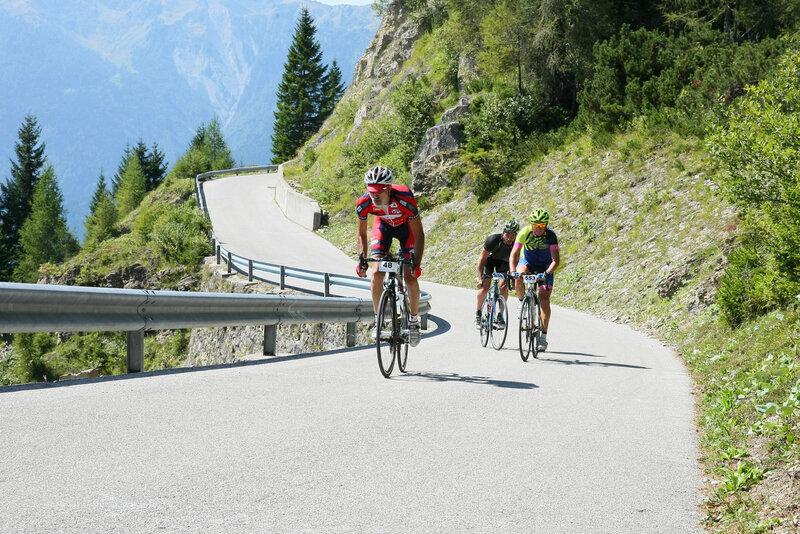 In the ascent from Mazzo in Valtellina, you'll encounter a 1,300-metre change in level over a distance of about 12 km, but with some killer gradients. This is a real fight against the forces of gravity, recalling past tales of effort and exhaustion. 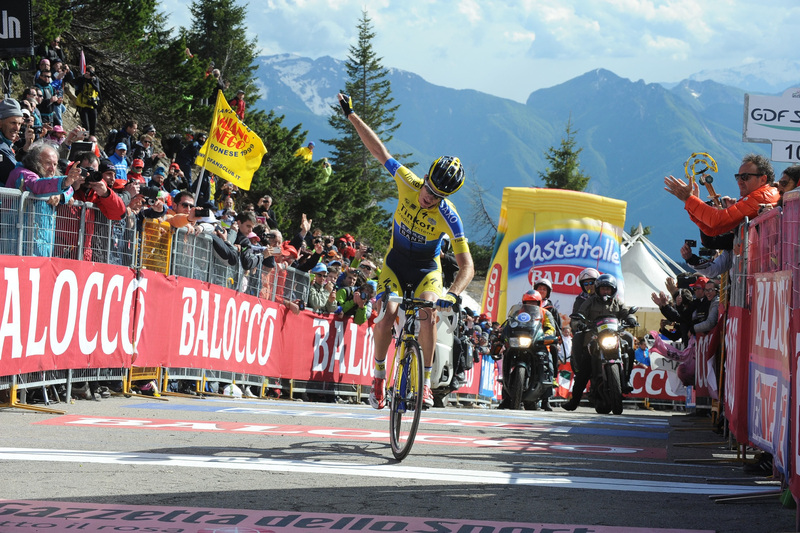 It has been the setting for heroic achievements like that of Marco Pantani in 1994, the unknown cyclist who pulled away from the pack to win the Merano-Aprica stage of the Giro. 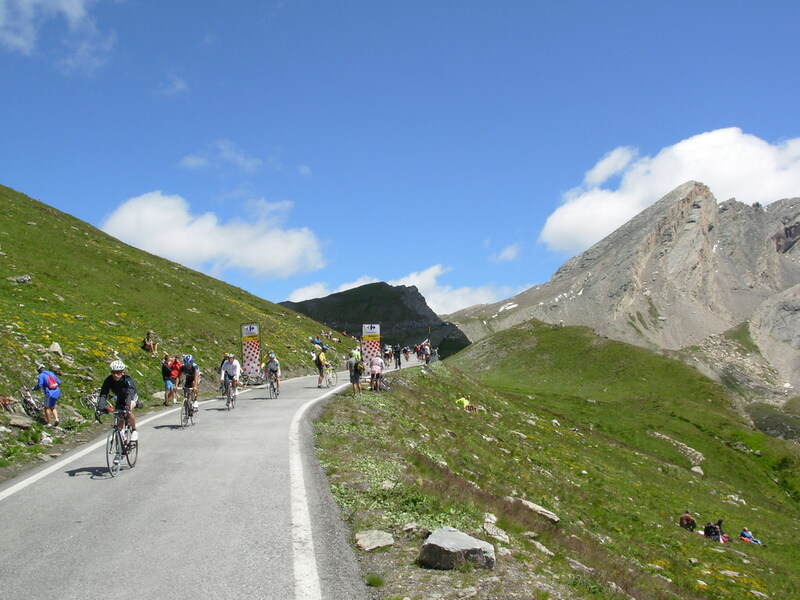 Be wary of the section between the third and ninth kilometres, where there isn't a single metre of respite and average gradients of 12.3%. 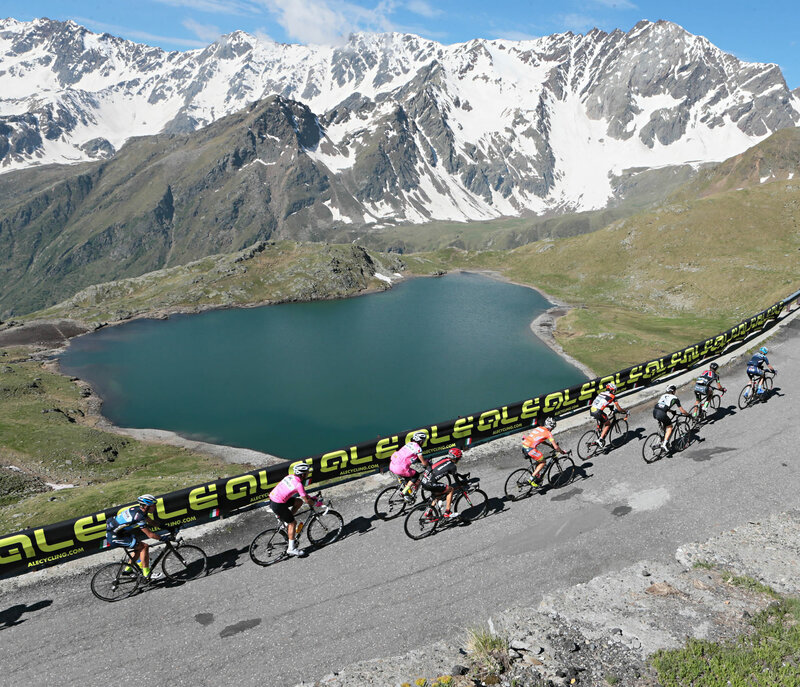 The only way to achieve the conquest of the giant of Valtellina is by sheer strength of will, because the ascent is truly leg-destroying. 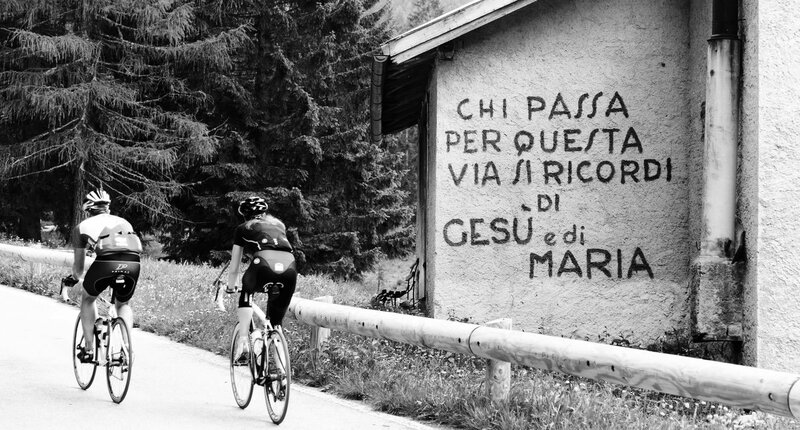 In Friuli-Venezia Giulia, they are well acquainted with psychological torture: “Abandon hope, all ye who enter here” and other Dantesque quotations welcome cyclists to the first ramps of Mount Zoncolan (alias the Kaiser). The first 2 km are just a taster of what this ascent is going to be like. Once through the village of Liariis, you'll come to a 6-km section with some terrible slopes (average gradients of 15%, and 22% in places). 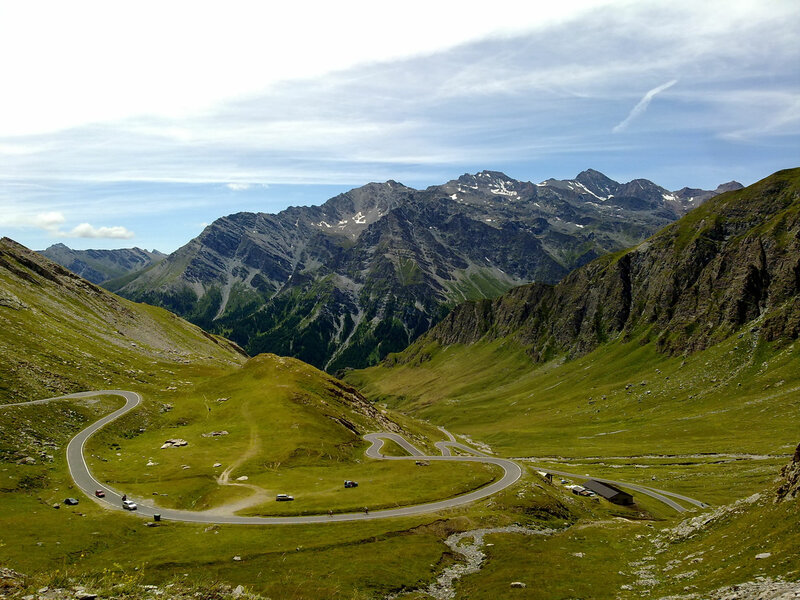 The road is generally straight, however, with few bends. 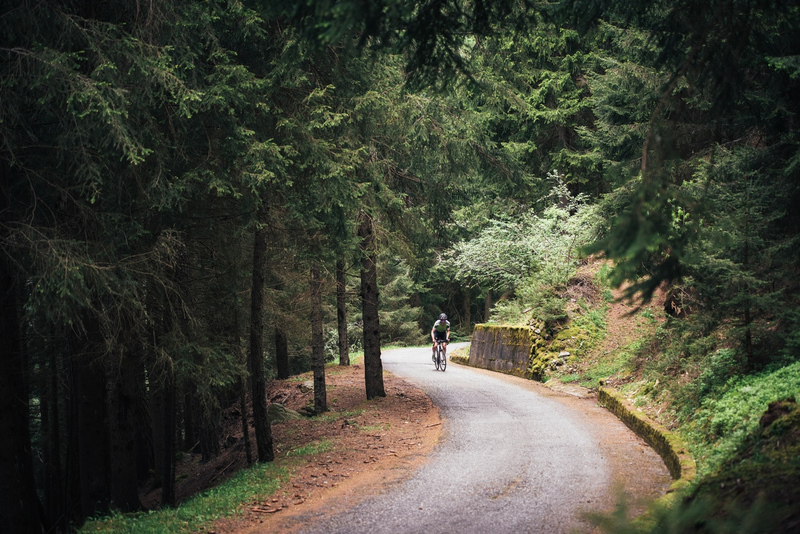 Your instinct will be to ride in zig-zags to alleviate the fatigue. 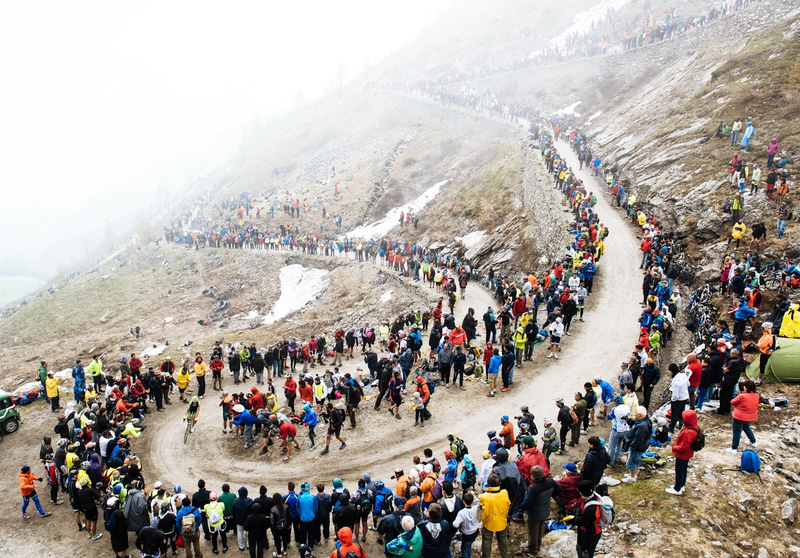 It is only at about the ninth kilometre that the gradients become less gruelling, but don't relax too much; the final kilometre features three nasty tunnels with a rough surface and no lights. After the third one, only four steep bends lie between you and the Pass.